Zaad, Somaliland’s first mobile money platform, was launched in 2009 and has rapidly become a feature of a financial landscape hitherto dominated by Somali remittance companies. This report charts the distribution of mobile money across the financial landscape of Somaliland. It examines the way the Zaad service is reshaping livelihoods and business practices, as well as implications of its popularity for the relationship between state and non-state actors, and the effect this might have on Somaliland’s political and financial institutions. 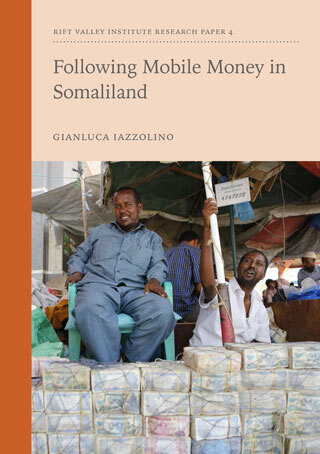 It argues that the narrative of the role that mobile systems can have in supporting financial inclusion runs the risk of obscuring complex political and economic dynamics, especially in the context of Somaliland’s state-building process. The study suggests that the popularity of Zaad is in part due to the specific context in which it operates as well as the business model and outreach strategy of its parent company Telesom. Fundamentally, in the absence of international banks, Zaad meets a widespread demand to help people cope with a volatile economic situation. Download the full report at the Rift Valley Forum here. 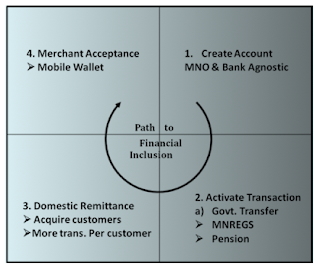 Mobile money is a unique service comprising the convergence of two industries—banking and telecommunications. Still in its nascent stages, the industry is making a significant impact on financial inclusion and transforming the lives of the poor. Indeed, mobile money “represents the biggest opportunity to increase financial inclusion in emerging markets” (GSMA MMU Annual Report 2012). There is, however, more room for penetration and access of mobile money globally. 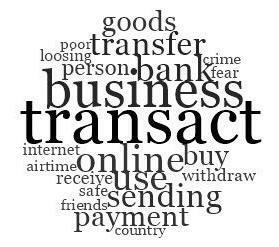 Access to financial services (financial transactions, credit, savings etc.) 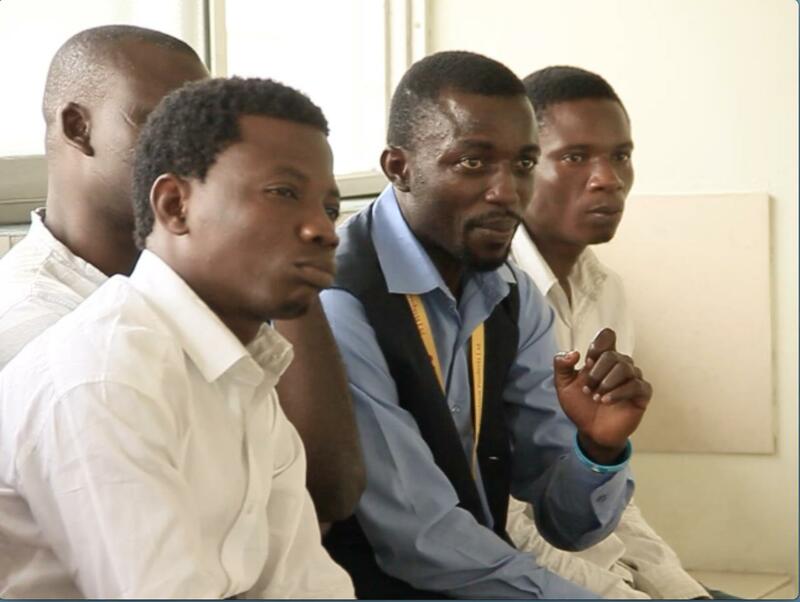 is important for individuals to financially manage, structure and plan livelihoods for themselves and their families. It is worth noting that 50% of adults worldwide (more than 2.5 billion people) do not have access to formal banking services, and 59% of adults in developing economies are unbanked poor (Demirguc-Kunt and Klapper, 2012). Mobile money as a solution for financial inclusion has been relatively successful in East African countries like Kenya and Tanzania. The project titled “Mobile Money Utility and Financial Inclusion: Insights from Unbanked Poor End-Users”, examined Western African practices—Ghana and Nigeria in particular. This mixed-methods study examined mobile money utility, the understanding of the products offered to the poor and how these products are utilized. From talking to mobile money providers and other researchers, we understood the range of services provided. The consumer study, comprising of focus group discussions and surveys highlighted the utility of mobile communications and financial services (savings, contributions, mobile money) by the unbanked poor in Ghana and Nigeria. The telecommunications growth in sub-Saharan Africa has significantly improved access to mobile telephony; teledensity estimates exceed 100 percent in both Ghana and Nigeria. However, our findings reveal that mobile money services have been developed around formal services and hence adoption is relatively low amongst the financially excluded. In Nigeria, banks and informal groups are providing financial services like money transfers, savings, and contributions that are commonly found economic practices amongst the poor. Mobile phones are primarily utilized for basic telephony—voice calls and short message service (SMS). The convergence of voice, data and media that has led to the growth and popularity of smartphones is evident in the growing number of mobile data services such as Internet browsing and messaging. However, utility of mobiles for financial services is still very low. 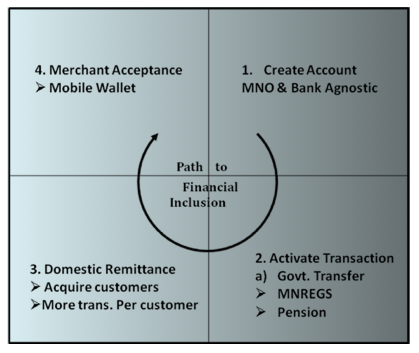 In spite of the high institutional trust of both banks and telcos and perceived convenience, mobile money adoption is inhibited by factors such as low knowledge of operational protocols and product/services, network quality, and trust. Key improvement areas for Nigerians were service delivery and market development. Microfinance institutions, savings & loans companies, and cooperative/ joint saving schemes provide savings products in Ghana popularly known as “Susu.” Even with high levels of ownership, mobile phones are predominantly used for voice and SMS with data-oriented services trailing. In Ghana unlike the case in Nigeria, knowledge and adoption of mobile money appears significantly higher in insurance products and money transfer. However, inhibiting factors include transaction costs, agent/customer/merchant disputes or issues, and network quality. Whilst Ghanaian respondents perceived telcos as more trustworthy than banks, areas of improvement included the extension of services supported on the platform. Mobile money improvement areas in the two countries under observation appear to be somewhat contradictory. Nigerians are desirous of enhanced service-delivery through more accessible channels and market development while Ghanaians seek service extensions derived from innovation.Whilst person-to-person remittances are well supported, complementary services that the customers value vary. In Ghana, for example, where telecommunications companies are licensed to provide mobile money operations, complementary services such as ATM withdrawal are not as prevalent as in Nigeria that operates on bank-led or independent consortia models. These models warrant different strategies and institutional processes to enhance value proposition, market development & education, and distribution. As such regulatory licensing models are important considerations for mobile money development and growth. The key insights drawn from these two West African countries are summarized below. Firstly, awareness in Nigeria is somewhat lower than Ghana despite the former having more providers. The notion voiced by one of the members of the focus group participants that mobile money is for the rich may be indicative of inadequate communications. Secondly, access limitations were evident in both countries where the lion’s share of consumer transactions are conducted in open (informal) markets using cash. The expanse of the mobile money ecosystem is evident in the exclusion of the open markets tradesmen, transportation providers, hawkers, and other informal services that are utilized by a large proportion of the population may explain the low adoption rates. These adoption rates are particularly low in Nigeria (3 percent adoption amongst survey participants), a country promoting Cashless and Financial Inclusion Strategies. Finally, the financial nature of mobile money transactions mandates higher levels of trust, especially amongst the unbanked poor. In spite of the institutional trust ascribed to both telecommunications operators and banks in both the countries, network quality and sustained functionality undermines the entire service. 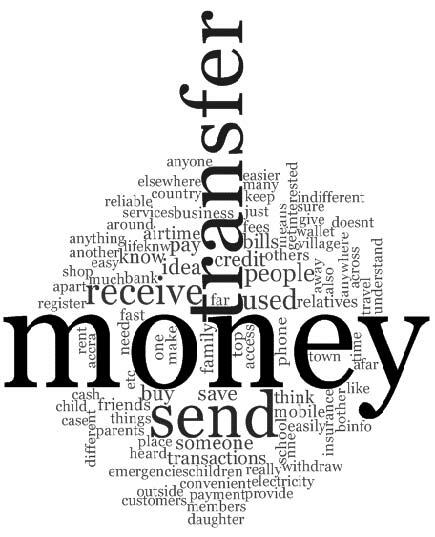 Key mobile money insights from unbanked poor users in Ghana and Nigeria suggest that providers of these services need enhanced strategies in the following areas: awareness/communications, adoption, and trust. The service expansions sought by Ghanaian respondents warrant ecosystem development supported by a more open and inclusive platform. In all, the most crucial strategy will be the substitution of mobile money for cash in open markets where the majority of the population trade. Demirguc-Kunt, Asli and Leora Klapper, 2012, “Measuring Financial Inclusion: The Global Findex Database,” World Bank Policy Research Paper 6025. Cross-post from the Impatient Optimists Blog featuring a report that offers an introduction to the theological tenets of Islamic (micro)finance, a description of the most common products and services, and a global overview of the industry and its major institutions using an anthropological perspective by Bridget Kustin. "The inherent social justice potential of Islamic economics is a rich and underutilized resource for poverty alleviation. Currently, Islamic microfinance is poised to grow the market of Islamic banking and finance (IBF) by steering poor populations into formal financial activity. Expanding the reach and profile of Islamic microfinance through partnerships and funding strategies can help meet the financial needs of the poor—and help the global IBF industry better embody motivations for Islamic economic activity in the teachings of the Qur’an and Sunnah. In this context, Islamic microfinance holds tremendous potential to tap into often-scattered Islamic donor streams – zakat, sadaqat, and waqf – and channel them toward strategic, impact-oriented goals. To better understand Islamic microfinance and the role it can play, the report explains the importance of examining cultural contexts as well as accounting practices for indicators and metrics. The anthropological perspective of the report investigates how financial tools come to life in the hands of clients and allows for more nuanced, complex understandings of user experiences through a methodology of “participant-observation,” repeat minimally-structured interviews, and relationship-building. The report also offers historical and theological background, overviews of Islamic financial products, summaries of key countries and institutions, and in-depth examinations of Islamic (micro)finance landscapes in Bangladesh, Indonesia, and Pakistan. Close ethnographic attention has been given to the unique challenges faced by female clients and female-headed households, implications of client relationships with field officers, and the absence of tools for clients to address personal accounting and calculation challenges. The report also offers starting points for digital interventions to meet the needs of the poor while addressing longstanding inefficiencies in Islamic (micro) finance." Click here to read the full blog post on Impatient Optimists. For the full report, "Islamic (Micro)Finance: Culture, Context, Promise, Challenges"
Blogpost #1: "Mobilizing Religion as Value Storage: Islamic Microfinance in Bangladesh as a Model for Poverty Alleviation (Part I). Research Questions and the ‘Islam’ of Islamic Microfinance"
Blogpost #2: "Mobilizing Religion as Value Storage: Islamic Microfinance in Bangladesh as a Model for Poverty Alleviation (Part II). Financial Vocabularies, Accounting and Calculation"
In my first post, I introduced my IMTFI-funded research into the Islami Bank Bangladesh Limited (IBBL) and its Islamic microfinance program for the rural poor, the Rural Development Scheme (RDS). I explored the slippages between institutional (here the IBBL) versus client understandings of the ‘Islam’ of Islamic microfinance. In this posting, I continue the discussion by addressing how a financial institution might not know its client because it does not fully grasp the assumptions and possibilities contained in clients’ financial vocabularies and their accounting and calculation practices in space and time. social pressures make Ramadan and Eid periods of financial insecurity (2014). Ex. 1, Client to RDS field officer: If you give us less money [than what we ask for], what do you expect? .... I will eat the money [khai felayun]. Ex. 2, RDS field officer to client: So you took the money, kept it at your house, and ate it? [khi feladay]. Ex. 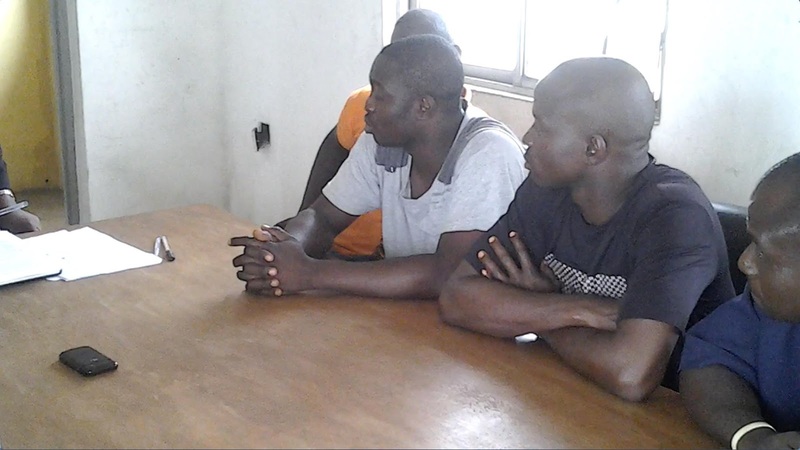 4, Client asking the RDS field officer to accept a late repayment: You have to understand. If you do business, every day cannot be the same. But we have to give the [RDS] installment from the [business] labh [profit]. You are also a human being…you have to understand: if you have a stomach, you have to give to the stomach, and we also have to give to the stomach [pet’e to diaya foribo, onera o diya foribo]. And you have to give to someone else as well. Here, implicating the body frames money and interest not as ‘things’ to be taken (naowa), held (rakha, haowa), or used (babohar kora, kora), but a part of more intimate, embodied and irreversible actions entwined with the basics of sustaining life. This gestures toward the condition of poverty in which money is not necessarily a neutral medium of exchange with fungible choice in its applications, but is the medium of enabling sustenance and survival. In the third example, the counterposition of ‘taking’ versus ‘eating’ RDS funds distinguishes money that once used is gone forever and cannot be recouped or repaid from money that can be repaid. In the first example, the client explains to the field officer the difficulty in receiving RDS microfinancing that is less than the desired amount: the lower sum will be eaten and not repaid, as the amount was never enough to execute the desired income-generating venture in the first place. For this client, eating the money is part pragmatism and part punitive, as the bank should not expect to receive its money back if it is unresponsive to client needs. This is not a question of reconfiguring ‘eaten’ money into outstanding debt or write-off-as-gift. Rather, “eaten money” exists as its own category — both as a kind of necessity, and a kind of wastage. Not all money is meant to be repaid, although this determination is made by the recipient and so is pointedly asymmetrical. 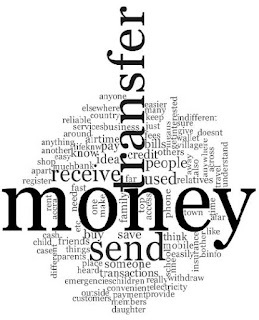 Eaten money can carry its own costs, such as reputation, trustworthiness, or the ability to secure funds again from the eaten funds source. A household ledger bifurcated into incomes and expenses cannot contain this third, mutable category. Women are not necessarily the primary managers of their household accounts and RDS repayment obligations. Ameena, the leader of her RDS collective, keeps track of everyone’s debts through memory, and negotiates late payments with the field officer. As a result, managing very small amounts of weekly repayment and contributions into mandatory savings accounts — from about 0.60 USD to 4 USD — requires significant labor on the part of Ameena and the field officer. Part of what adds time to client-field officer encounters is the inaccessibility of calculative mathematics for clients, often compounded by the scarcity of written financial records. This is despite the fact that increasingly complex financial inclusion-oriented products require calculative mathematical ability on the part of the client, in order for the client to have a clearer picture of her obligations, assets, and financial status in time. Clients rarely use the calculators available on mobile phones as they use Arabic numerals rather than Bengali numbers. During the daytime repayment meetings, children who might otherwise be able to help with sums are typically at school or working. Sums and counting are performed verbally and often collectively, and the cardinal and ordinal numbering of time frames (whether weeks, months, or years) are situated against other measurements of the passage of time. These include the six Bengali seasons; events on the Islamic calendar, namely, Eid ul Fitr, Eid ul Adha, Shab-e-Barat, and Ramadan; and events such as a hospital stay, marriage, or child’s birth. Positioning myself within the community in the register of ‘participant observer’ meant engaging in a broad spectrum of relations, including the informal money-lending ubiquitous between relatives and neighbors. My own monthly financial inflows and outflows were likewise subject to daily discussion. This served to insert me into a household’s financial management processes. Thus, rather than recording a singular ‘true’ quantitative weekly or monthly accounting that existed in static form, our interviews captured the dynamic work of financial management as it took place within performative and technical acts of negotiations, diversions, bundling, and forestalling. In addition, when the women discussed their debts, three figures were usually cited with regard to the money owed: first, the original, principal amount owed. Second, the lender’s labh (profit), typically the interest amount. Finally, the lowest possible total amount that could be paid while still achieving closure of the debt. One rhetorical formulation I often heard encapsulates this latter notion: “if I owe 1,000 and pay 900, I still won’t get it” – with ‘it’ referring to the settlement or closure of a debt. Financial services offered by formal institutions are not set up to account for these processes. Similarly, conventional notions of household financial accounting that set debts/expenses against regular inflows are not applicable. Rather, these processes gesture toward a household ‘account’ as a shifting, multi-plane ledger where debt amounts (subdivided into principal and interest) are set against the lowest possible amount one can anticipate, strategize, or hope to pay, by leveraging time, external shocks (for either the borrower or lender), religious compassion, or other social or familial factors. The marginal gains from such reductions (and, on a related note, a consistent preference for round numbers and strategic rounding up or down to benefit the individual most in need) become part of broader financial management strategies in time. Loans exist as imminently repackageable into different sets of obligations — an enticement to a gold seller to bring one’s relatives to the shop, assurance to a shopkeeper that your business will stay with his store, appeals to an RDS field officer’s sense of Islamic piety and compassion for the poor. Ultimately, my field research asks what it might look for an Islamic microfinance institution to take seriously the idea of people participating in microfinance, rather than just being subjects of it. This question then can be understood on multiple registers, from the socio-linguistics of financial vocabularies to technical aspects of calculation and record-keeping. And to ways in which Islamic notions about poverty, compassion, and social justice in economic affairs frame client relationships to the institution. -Part I of the blog, "Mobilizing Religion as Value Storage: Islamic Microfinance in Bangladesh as a Model for Poverty Alleviation". -Islamic (Micro)finance: Culture, Context, Promise, Challenges, a report by Bridget Kustin for Financial Services for the Poor, Bill and Melinda Gates Foundation. The report offers an introduction to the theological tenets of Islamic (micro)finance, a description of the most common products and services, and a global overview of the industry and its major institutions. The Islami Bank Bangladesh Limited (IBBL) is one of Bangladesh’s largest banks, offering commercial and consumer financing, tremendously popular remittances services for migrant workers, and an Islamic microfinance program for the rural poor, the Rural Development Scheme (RDS). Since its inception in 1983, the Islami Bank has described itself as a religious and financial institution dedicated to poverty alleviation -- an identification frequently invoked by employees during our conversations. The regulatory, staffing and monitoring structures of the IBBL are geared towards ensuring Shari’a compliance. In addition, IBBL's expansion strategy, corporate culture, and the semiotics of its branding and marketing reinforce it's status in Bangladesh as an Islamic institution. My research is an ethnography of finance, Islam, and poverty that explores the theoretical registers of Islamic (micro)finance client experience and institutional management threaded through the money, policy, and influence connecting Saudi Arabia to the Bangladeshi capital of Dhaka to a small-town slum tucked along the Bay of Bengal. Building on previous research conducted during 2010 and 2011 at IBBL’s Dhaka headquarters and a slum community in the southeastern Cox’s Bazaar zila (district), this project takes as its starting point the idea that RDS mobilizes preexisting social and religious networks to render the ‘Islam’ in Islamic microfinance as a form of value storage. But what to make of ‘value’ as an economic category especially with attendant quantitative calculations regarding Islamic micro finance that has emerged as a new chapter in contentious debates over the efficacy and empowerment/self-fashioning potential of microfinance? For much of the ‘financial inclusion’-- oriented community of donors, NGOs, corporations, and start-ups, interest in Islamic microfinance is located in the question of whether clients can derive economic value from Islamic micro finance that exceeds the modest gains of conventional microfinance. And yet, the institutional leveraging of Islam to encourage or facilitate entry into formal banking suggests the importance of a more expansive field of ‘value’ or ‘values’ located within Islam, and registers of Islamic devotion or practice. What might these be? And how might Islamic microfinance encourage and enable poor clients to develop both their religious and economic subject positions? How do these political and ethical resonances filter into households, communities, and configurations of the state, financial institutions, and transnational development agencies? Over 18 total months, from 2010 to 2014 I engaged in unstructured repeat interviews, casual conversations, and participant observation in office procedures and meetings, daily life, religious events, political unrest, and holidays. I was based in Dhaka for six months where I divided my time between the RDS and Sharia Secretariat divisions in IBBL headquarters, Islamic economic institutions, and the company of senior Islamic finance scholars and bankers. I spent 12 months in the slum community of Zinukpara (a pseudonym; all identifying details have been changed) in Cox’s Bazar district, where I conducted full-time participant observation among RDS clients to understand the place of Islamic microfinance alongside other financial obligations and liquidity sources. Zinukpara, a mixed Muslim, Hindu, and ethnic Burmese Buddhist Rakhine community, is adjacent to both a small town and vast expanses of rural, riverine lands used for agriculture and pisciculture. The broader district is home to the majority of Bangladesh’s 30,000 registered Rohingya refugeesIt and is close to land and river borders with Myanmar. An estimated 300,000 to 500,000 additional unregistered refugees live in makeshift camps or have been assimilated into the local population. As a result, poverty indicators in this district persist as among the lowest in the country, despite admirable gains in health, education, and child welfare elsewhere. Socially responsible investment, social business, impact investment, corporate social responsibility, and ‘philanthrocapitalism’ leverage ethical orientations for market value while extolling opportunities for profit in poor, untapped markets. As such capitalist logics embrace market solutions to poverty alleviation and increasingly inform the structure and operations of socioeconomic ‘development.’ My research considers presumptions and categories regarding the financial life-worlds of poor clients that frame the goals and ‘outcomes’ of such programs. These considerations often contain implicit arguments about the efficacy and utility of RDS. I am forgoing a discussion of the ‘success’ of RDS in favor of an arguably prerequisite inquiry: the ways in which the institution might not know its client. Such ‘knowing’ includes the assumptions and possibilities contained in clients’ financial vocabularies, accounting practices in space and time, and the gendered structure of the household-as-economic-unit. Slippages also exist between institutional versus client understandings of the ‘Islam’ of Islamic micro finance. In this respect, IBBL occupies a top position among institutions with which clients interact. They are not made to feel poor or like beggars -- as opposed to their interactions with other sources of liquidity, whether competing microfinance institutions, friends, family, or shopkeepers. Respect and honor are understood as Islam manifest. 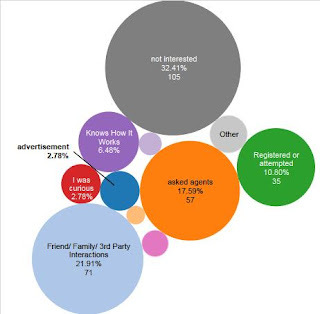 This represents a critical difference in institutional versus client priorities and understanding of the enterprise of Islamic microfinance more broadly.Compassion and respect are embodied most clearly through RDS field officers’ willingness to accept khelafee (late weekly repayments), and clients will frequently appeal to the field officer or IBBL’s Islamic duty toward the poor. As a matter of course during repayment meetings, clients disobey, assert their claim to dignity despite their poverty, or object to bank policies they view as too uncompromising, via the bank’s proxy, the field officer. The particular forms that these interactions take should not be mistaken for client intransigence. They are instead demonstrations of labors that shift RDS and the IBBL down from a perch of ‘institution’ haloed by an affect of inaccessibility, into the domain of the local village relationships. Scenes of negotiation during the repayment meetings show that women are neither lost under their debt nor ‘empowered’ (a classic, albeit broad goal of conventional microfinance since its inception). Rather, through these negotiations, the women understand themselves as participants in, rather than just subjects of Islamic microfinance. Read Bridget Kustin's Final Report. Read Islamic (Micro)finance: Culture, Context, Promise, Challenges, a report by Bridget Kustin for Financial Services for the Poor, Bill and Melinda Gates Foundation. The report offers an introduction to the theological tenets of Islamic (micro)finance, a description of the most common products and services, and a global overview of the industry and its major institutions.